Just two more days until term one is officially over! Woooo! No more uniform washing and lunch making! Well, for two weeks anyway! Time to get out and about and enjoy this beautiful Autumn weather! 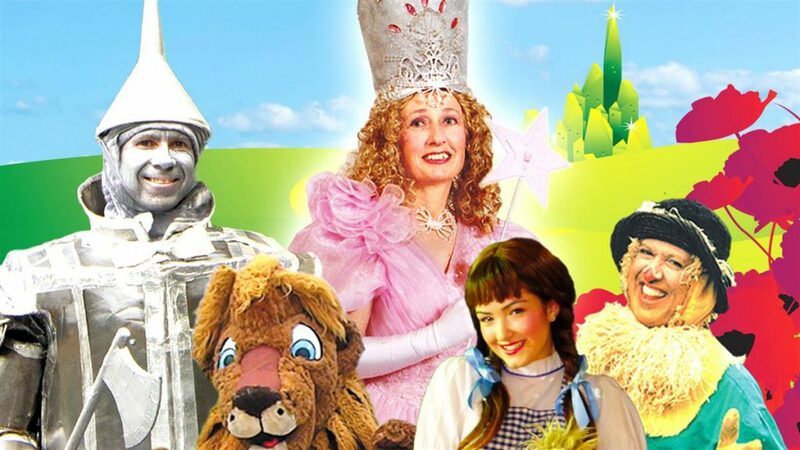 Here are our top picks of “What’s On’s” for the Easter school holidays in Frankston and on the Mornington Peninsula. 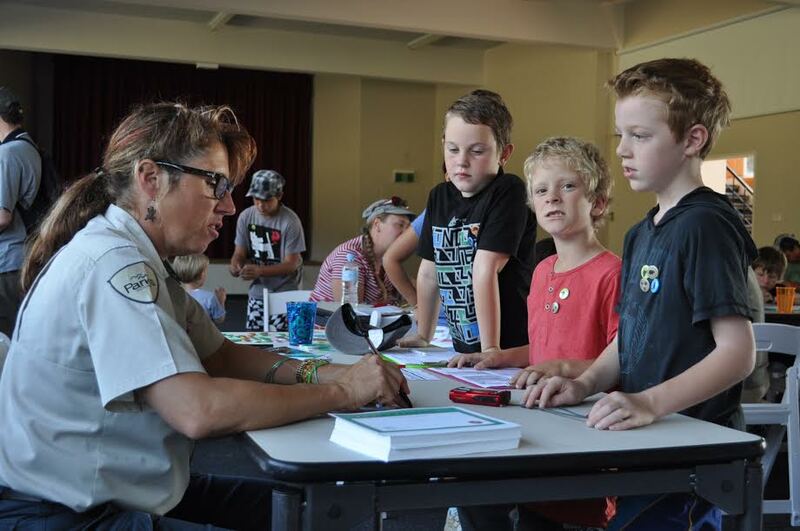 The popular Junior Ranger holiday program is for children aged between 6 – 12 years old and is hosted by Parks Victoria Rangers. It’s free to register helping kids grow their minds and appreciation of our environment and history, as well as stretching those active limbs. Bookings essential. Click here for full program and booking details. For children aged 5-10yrs. 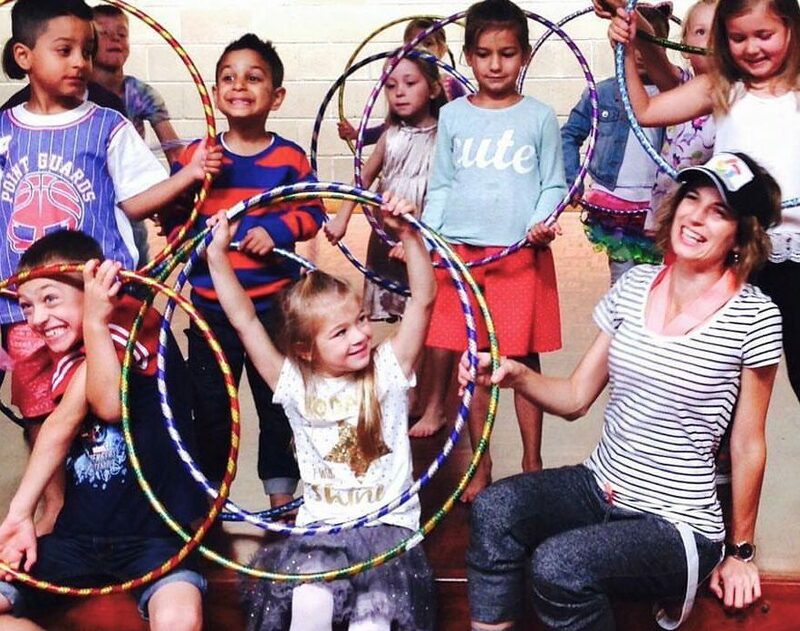 The Mindfulness & Movement school holiday program will explore mindful mantras through meditation, yoga, breathing techniques, games and crafts. 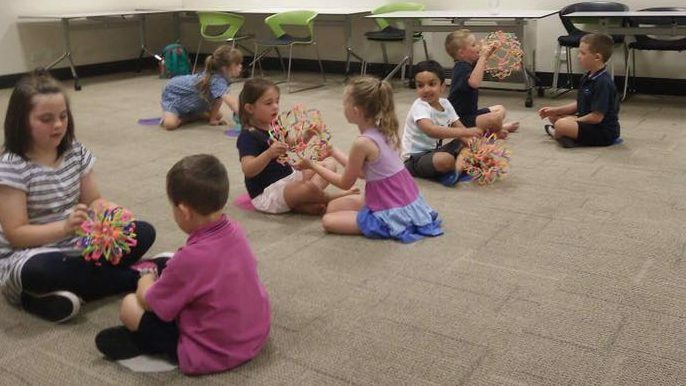 The class will strengthen your little ones attention skills and increase mind body awareness through specially crafted games and discussions. A fantastic holistic program teaching ‘8 Mindful Mantra’s’ being intention, attention, attitude, gratitude, resilience, kindness to self, kindness to others and purpose. 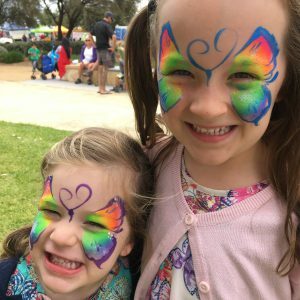 Free fun day out for all the family with exciting activities for the kids including sports, face painting, animal farms and live interactive stage performances. BYO Picnic or treat yourself to the community BBQ’s while visiting the stalls for more activities and information on local children’s services. Explore some of Frankston’s most popular natural attractions. 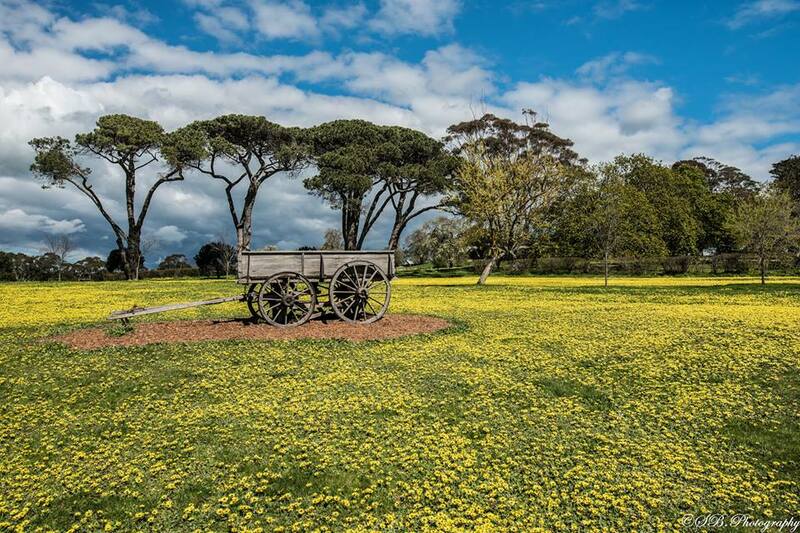 Join the local Park Ranger and be amazed by the history, native flora, fauna, geology and coastal scenery right here on our doorstep. Join the ranger to take an artist’s viewpoint of the bush. Open to all ages. Join the ranger under the stars for an overview of “our place in space” BYO folding chair or picnic rug, warm clothing, beanie and blanket. Open to all ages. 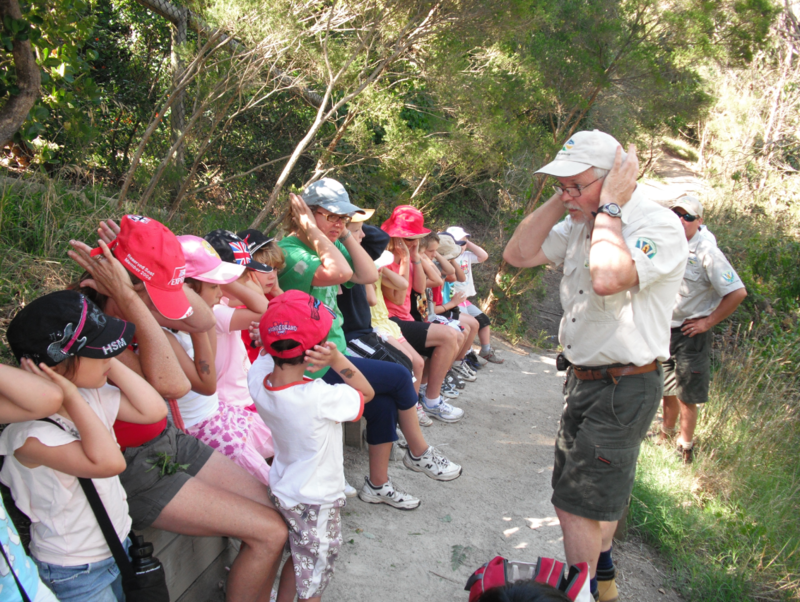 Join the ranger to explore one of Frankston’s best kept bushland secrets. For ages 6 – 12yrs with an adult. TIME – 10am to 2pm. 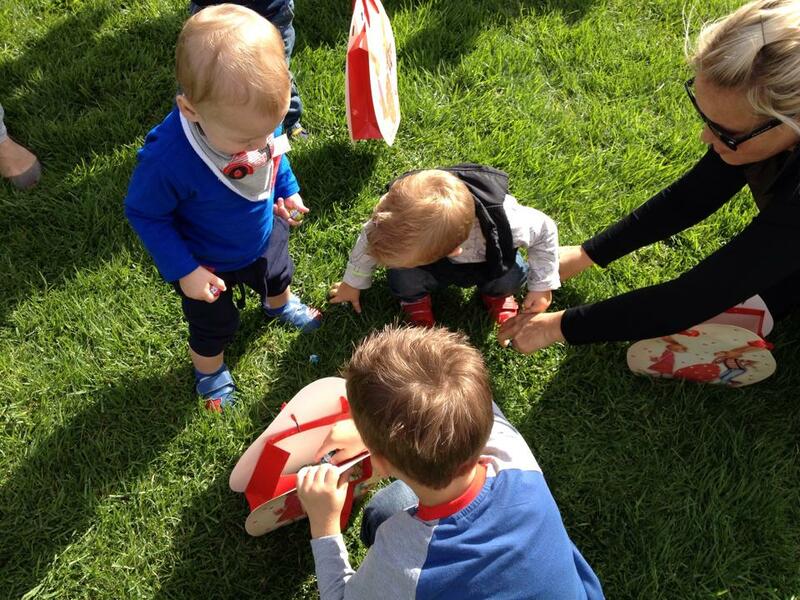 Mornington Park’s annual Easter egg hunt and picnic with 1000’s of Cadbury Easter eggs to find! Gold coin donation to raise money for Fusion Mornington Peninsula, supporting young homelessness in the community. 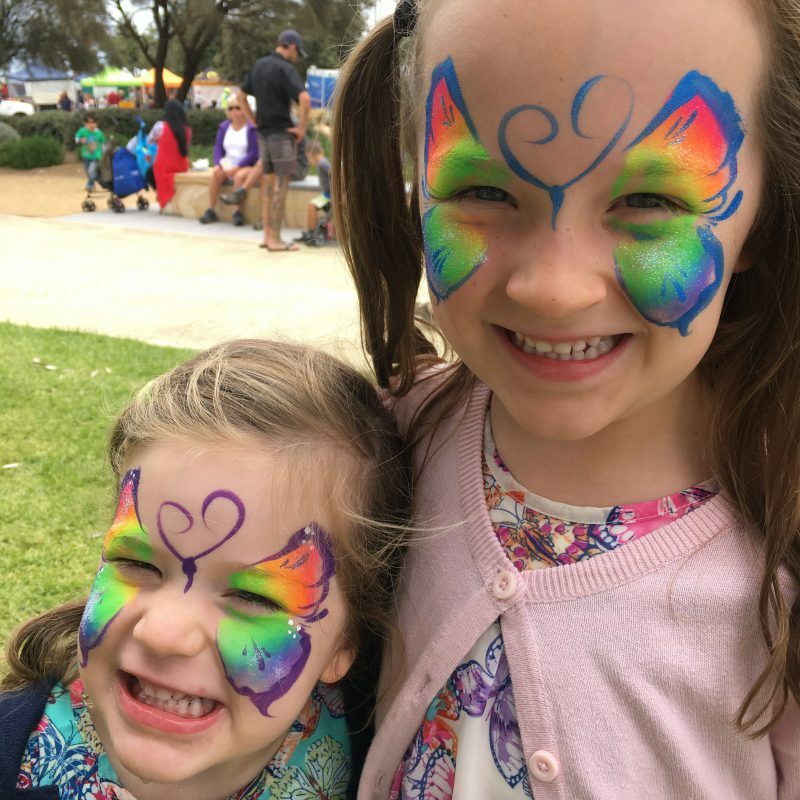 Food trucks, children’s entertainment, inflatable’s, live music and lots more, take the whole family and enjoy an Easter themed day in the park. Egg hunt open to children aged 0-12 years, pre registration essential (kids will be split into different waves of age groups throughout the day) Click here to register. Join the ranger to explore the creek and its surroundings. Open to all ages. Experience the bush as it comes to life after dark. Open to all ages. 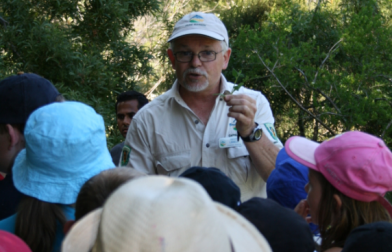 Join the ranger to explore for Creek Creatures. For ages 6 – 12yrs with an adult. 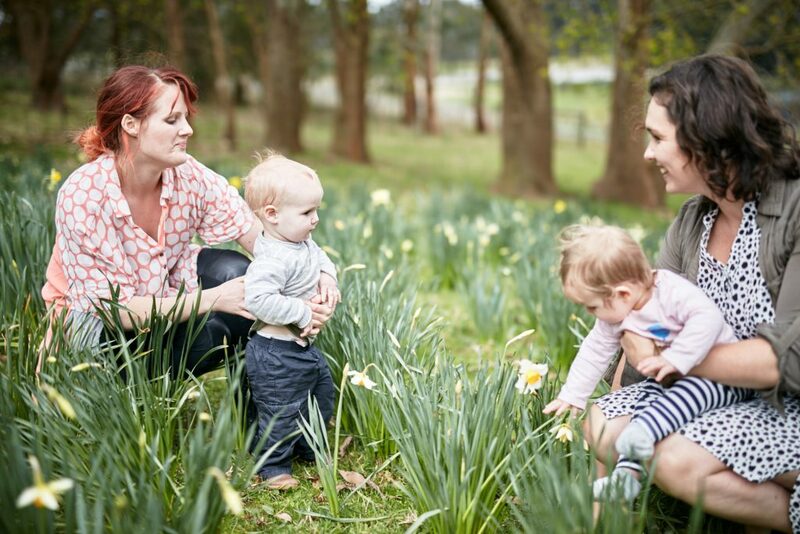 Little farm bunnies are invited to Green Olive on Good Friday for their annual Easter Egg Hunt. There will be prizes for best costume as well as most courteous hunter, and of course amazing farm roasted coffee will be fresh and hot ready for Mum & Dad! Take your picnic rug and make yourself comfy ready for a fun filled day of rides, entertainment, market stalls, Easter egg hunt, live music and stage shows. All proceeds will go to the Royal Children’s Hospital Good Friday Appeal. 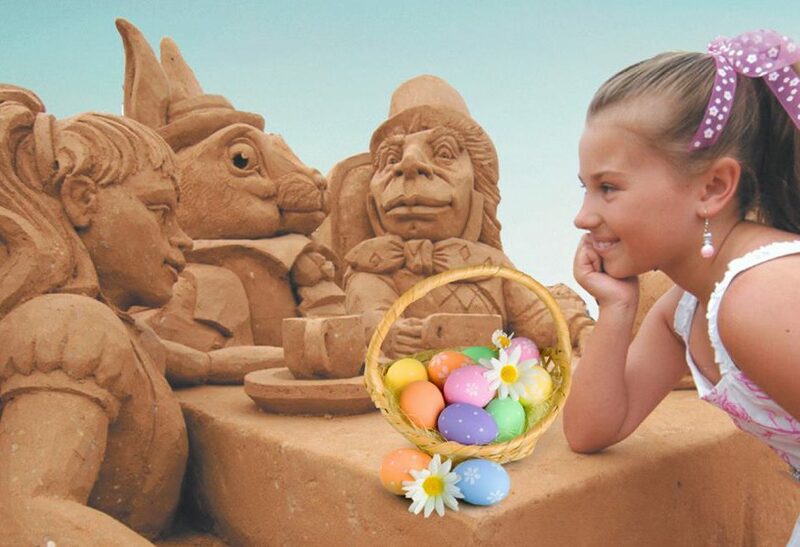 Easter Egg within Sandsculpting Australia’s Lands of Imagination, hunt included with entry, each child gets a bag of chocolate eggs after hunting for sand carved eggs. There will be plenty of activities for the whole family and Australia’s best food trucks serving up tasty treats. Activities for kids include music, jumping castles, games area, and outdoor cinema at night (starting at 7pm) Saturday 15th – Find Dory, Sunday 16th – Ice Age: Collision Course, Monday 17th – Iron Man 3. 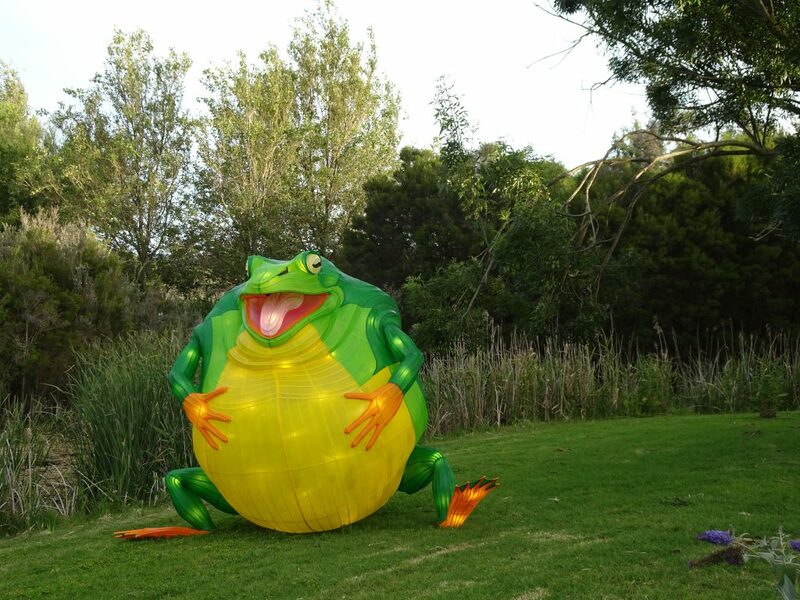 Specially designed 3m high dreamtime sculptures shimmer on the landscape as you walk through the gardens and encounter the elder wombat, waa the wise crow, the heroic eagle bunjil, the thirsty frog tiddalik and others. Click here to read our review! 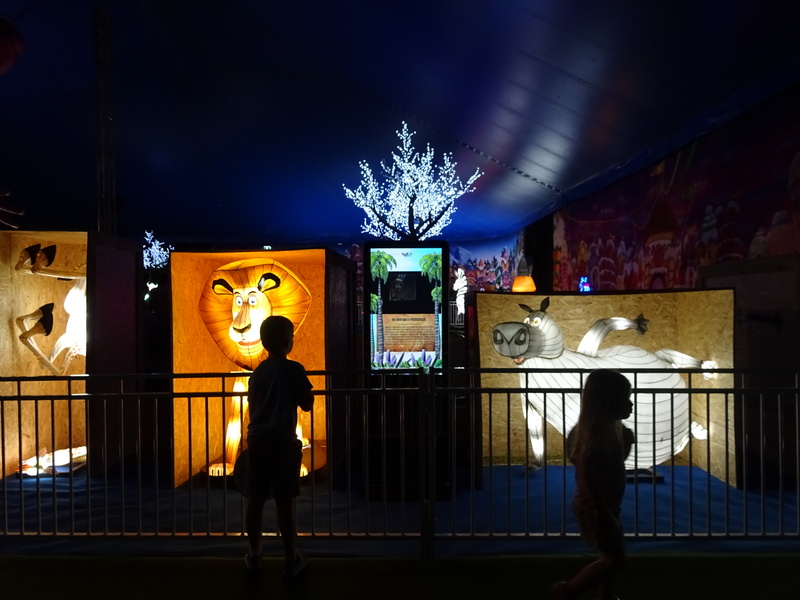 Lights by Dreamworks is an interactive, walk through experience for all ages where more than 100 DreamWorks’ characters will be brought to life with Shrek, Kung-Fu Panda and all your fave characters lighting up Rosebud’s Foreshore during this Australian-first exhibition. Click here to read our review! Get ready for some jungle fun at PARC these school holidays! The new “Python” water slide will be open and we’ve heard it’s amazing with spectacular lights and sounds as you slither the twists and turns! 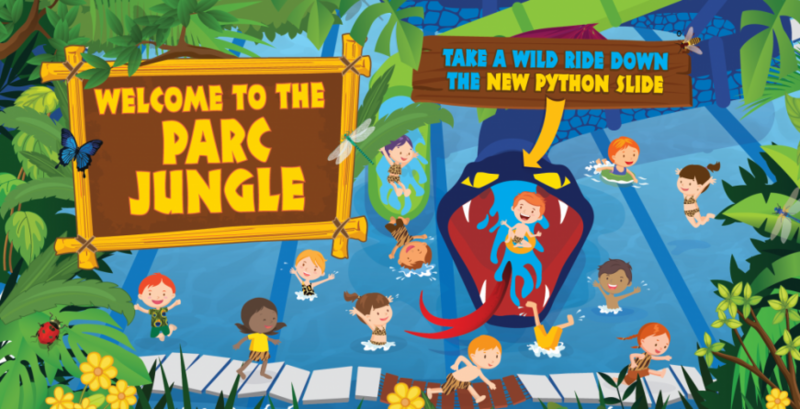 To welcome their new slide, PARC will be having a jungle theme these holidays which will incorporate Snakebusters reptile handling shows – giving kids the chance to hold a real-life slippery python, jungle-themed face painting and an Amazonian photo booth! Good old Splash Town will also be there as well as the water play equipment with the giant yellow bucket! Keep an ear out for the bell!